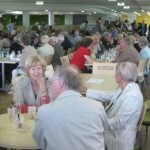 At the Jennie Lee and Pioneer Alumni Event on 19th July, there was the official opening of the Jennie Lee Building, a visit from 250 of the OU’s first ever students and some guests who have played significant roles in the history of the OU, including Asa Briggs, Mike Bullivant, Joe Clinch, David Hawkridge and Robin Wilson. 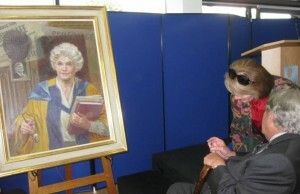 In the photo the artist, June Mendoza, can be seen talking with Lord Briggs in front of the portrait. 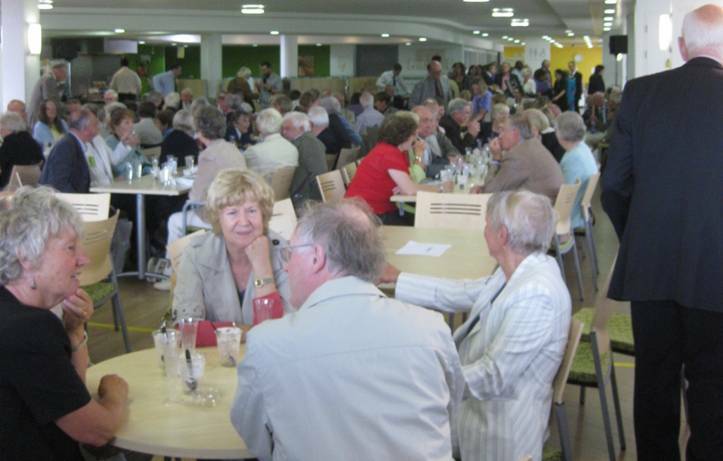 There was a tour of the Jennie Lee building before people gathered in the Hub (see photo). Dan Weinbren explained the role of Jennie Lee in the history of the OU. 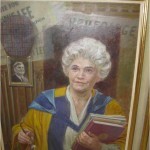 This was prior to the unveiling of a portrait of her by Martin Bean. 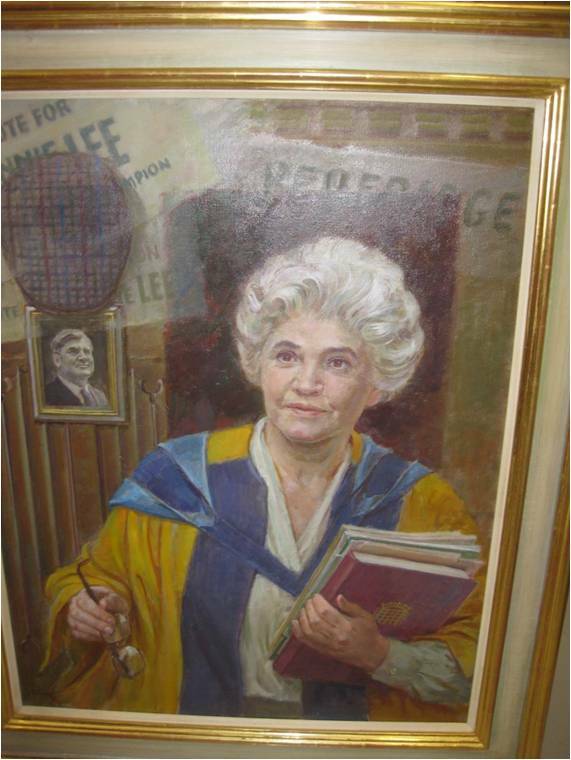 One untold story about Jennie is that mentioned in Ferguson, The Open University from within, p14. As the Labour government left office in 1970 the outgoing Education Secretary Ted Short is said to have put his arm aound Jennie’s shoulders and said ‘Jennie. the great achivement of the first post-war Labouradministration was the National Health Service, and that was Nye’s. The great achievement of the second is the Open University, and that’s yours’. The Vice-Chancellor also unveiled a plaque. Dan also gave a talk on the History of the OU Project to some of the guests. Copies of the ‘Share your story’ cards were distributed and it is hoped that there will be further contributions to the website. This entry was posted on Tuesday, July 19th, 2011 at 6:00 pm by Daniel Weinbren	and is filed under History of the OU. You can follow any responses to this entry through the RSS 2.0 feed. You can leave a response, or trackback from your own site.